It never ceases to amaze me that every so often you come across a cultural product (in this case, a writer) you’ve never heard of, but that’s (who’s) immensely popular and bestselling in another country. Tommy Wieringa is an award-winning Dutch writer. 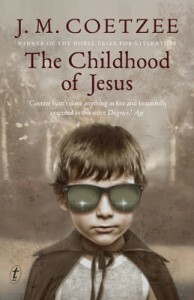 He’s published many books to critical and award claim, and the book most recently released in Australia, These Are The Names, won Holland’s Libris prize. That’s the Dutch equivalent of the Booker. That prize hints at the style of book These Are The Names is: challenging; containing characters and storylines that aren’t entirely likeable but that illuminate some key human and cultural lessons. So, an arduous read, but one that’s worthily enlightening. These Are The Names contains a motley assemblage of characters. Pontus Beg is an ageing policeman chasing the skirts of his cleaning lady and taking stock of his life—past and present. He has not, as the first line of the book tells us, become the wise, calm old man he’d envisaged. One of his feet is perpetually cold. Life and routine and alienation from family have worn him down. His family history is something of a mystery. Beg lives in a border town on the steppe. It’s unclear which country this steppe occurs in—perhaps deliberately, or perhaps because I’m obtuse and couldn’t figure it out. Regardless, it’s a bleak, harsh town reflected in the landscape. Concurrent to Beg’s story is that of a group of refugees attempting to cross the border to a better life. Thrown together through tense circumstance, they find themselves on a relentless, wrenching march across the steppe. They are starving, distrustful of each other, unsure if they’re going to survive. These Are The Names tackles some big themes: religion, family origins, identity, asylum, hope, and despair. It’s an unflinching look at flawed humans, the choices they make, the repercussions of those choices, and whether redemption can be had. A thirst that drowned out all thought, thirst that tempted you with cool ponds, that conjured up the sound of dripping faucets. They wept for rain. Every word they spoke tasted of rusty iron. The child, a boy, pinched the skin on his forearm and pulled. The puckered skin rose up and remained in place, like a crease in a sheet of paper. The dreams with which each of them had left home had gradually wilted and died off. Their dreams differed in size and weight, and remained alive in some longer than others, but in the end they had almost all disappeared. The sun had pulverised them; the rain had washed them away. While I can’t say I enjoyed These Are The Names per say, nor can I say it’s the point. As with any Booker-style book, it’s designed to test and incrementally shift our perceptions of the world. Wieringa’s book has haunted me, which is a sign its themes resonate off the page. Most particularly, it’s made me wonder what I would do in desperate circumstances, whether as a refugee or as someone ageing and feeling increasingly obsolete and out of place. Wieringa will be in the country shortly, but crazy work and life curveballs will prevent me from hearing him speak. My goal is now to track down some podcasts and interviews to learn more about him and his oeuvre. For although I didn’t know about him prior to Scribe giving me the opportunity to review this book, now that I do, I’ll be seeking Wieringa’s work out. 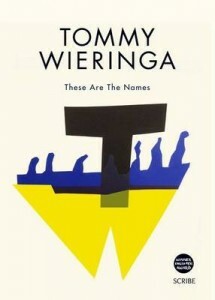 My standout literary fiction of the year so far is Dutch author Tommy Wieringa’s These Are the Names (Scribe) and Kazuo Ishiguro’s The Buried Giant (Faber & Faber). Both these writers have been awarded for previous works and should have similar success with these books. The novels are masterfully written, with myth-like, nebulous settings and a wandering quest. 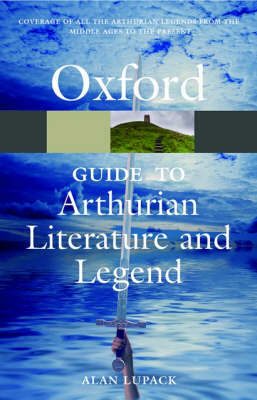 Both are seeped in classic literature: The Buried Giant in Arthurian legend and These Are the Names in the Bible, particularly the Old Testament. These Are the Names is a dual narrative about police commissioner, Pontus Beg, who seeks out his Jewish heritage, and a group of exiles, who perhaps emulate the ambiguity of JM Coetzee’s refugees in The Childhood of Jesus before they reach safety. Beg is doled out sexual favours by his housekeeper and, surprisingly for a man who regards himself as restrained, shows violence towards prisoners. His police force operates on bribes. Beg lives in Michailopol, which has experienced nuclear rain from atomic testing and a ‘lager’ where thousands of, mainly, Jewish prisoners have been executed. The refugees travel across the sand like the Exodus of the Jews. There are a number of men, including the poacher, the tall man and the Ethiopian; a woman; and a boy who was judged most fit to travel by his family. He becomes hardened but could be seen as a ‘little Moses’. The men can be violent, although the Christian Ethiopian saves the tall man from death. They endure a long truck ride, pass through a deserted village, exhaust the supplies of an old woman and cross a border. They are not a cohesive group and degenerate into corpse-robbers. Finally they turn on one of their group. Like some who have sought asylum in Australia in recent times, they were told to destroy their papers so that they have no compromising identity. Like Wieringa’s refugee boy, Ishiguro’s Edwin, the boy bitten by a mythical creature and ostracised by his village in The Buried Giant, may also be the precursor of a new land and future. 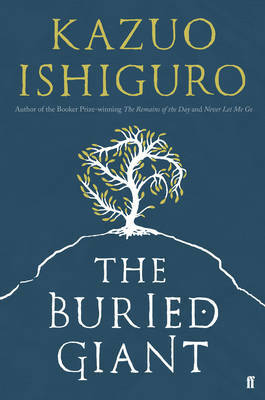 Edwin is taken under the care and tutorage of the knight, Wistan, as they travel with an old man and woman who, like many of Ishiguro’s characters, have an ambiguous identity. They also encounter Sir Gawain in their quest to find memory, home and family and slay the dragon. The ideas in these novels are provocative. Lovers of literary fiction should relish them both and can hear more from Tommy Wieringa, who is coming to the SWF next month and will also be visiting Brisbane.